This edition of the Top 40 Prospects list was not as exciting as we have seen in past years. After years of watching players like Javy Baez and Kris Bryant and Addison Russell and Jorge Soler and Kyle Schwarber and Willson Contreras come through the system, though, any fairly normal farm system is going to look weak by comparison. And that is what the Cubs now have, a fairly normal farm system. 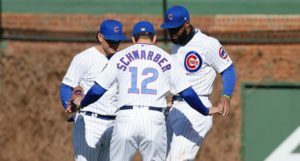 I have not entirely kept up on the rest of the organizations in baseball, but right now the Cubs feel about like a system that would rank in the 18 to 25 bracket. The upper levels of the system are a little thin on high end talent, and the potential impact talent is for the most part buried deep in the organization and comes with a high amount of risk. There is depth, though, particularly at two certain positions, and they have a strong group of players arriving in Iowa who can form an extended bench for Chicago. 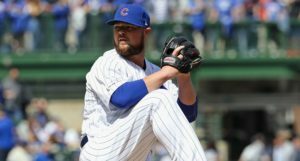 If the Cubs have an emergency need in Wrigley, odds are pretty good that there is a prospect in Tennessee or Iowa who can help fill that need. Looking down the road a bit, there is a scenario in which this system rebounds into a top ten system. If Eloy Jimenez continues to play well and the Cubs improve on their success rate when it comes to developing young pitching in the low minors, we could be looking at a system with five or more Top 100 types by the spring of 2018. Young pitching is risky, though, so that is no sure proposition. And there is no doubt that young pitching is the cornerstone of this new era of the Cubs farm system. The run on elite bats is almost over, and the Cubs focus on acquiring amateur arms is starting to manifest itself in the Top 40. In fact, 45% of this list is right-handed pitching, and another 15% is left-handed pitching. With the exception of outfielders (17.5%), no other position breaks 5% (unless we count Ian Happ as a second baseman, in which that position comes in at 7.5%). For a system that used to be known for a seemingly endless string of impact infield bats, that is quite the change. Overall, the positional breakdown looks like this. We are also seeing a shift in the location of the talent. Tennessee used to be the center of the Cubs’ farm system; if you had to pick one team to watch, the Smokies were a safe bet to have multiple really good prospects at various points during a season. If I had to pick a single team to watch now, though, it would probably be South Bend. Much of the prospect excitement in the system is located in the low minors, and that means the SB-Cubs have already had a fairly notable group of players pass through their dugout. In terms of the Top 40, though, Myrtle Beach leads the way in overall numbers. The Cubs have a very talented group of players in the Domincan Summer League this year (that’s another article), and as that group comes into the United States I think we will see the concentration of talent in the organization remain on the lower levels for another season. That makes this an interesting time for the organization. Some of the most intriguing players long term are not yet household names. We are likely to be surprised by various prospect suddenly surging out of the pack to claim some prospect accolades, and that can be almost as fun as watching mega-prospects clobber minor league pitching on a nightly basis. Almost. 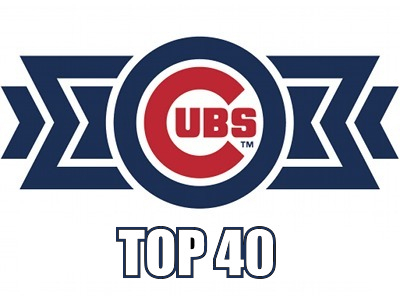 The next edition of the Top 40 will run in the spring, just before the start of the minor league season, and I suspect there will be quite a few changes to the list between then and now. Some of these players may yet be traded, and some players who missed the cut may emerge when we take a much harded look at the numbers over the winter. For now, though, this is the Bleacher Nation Top 40 Prospects List. 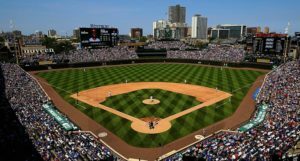 Next Post Next post:Is Trimming the MLB Schedule Actually Being Considered?